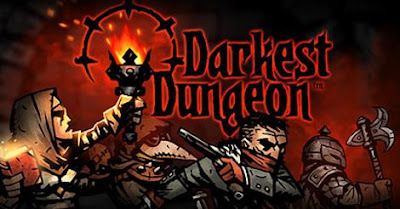 I know I'm late to the party with this one, but I finally got around to trying out Darkest Dungeon. It was on sale a few weekends ago so I grabbed a copy for $13 and tried it out. Darkest Dungeon has style in spades. It's dark and stylistic and looks amazing. I can see how the setting alone would appeals to a certain kind of person. While the style is amazing, the gameplay isn't what I'm in the mood for. 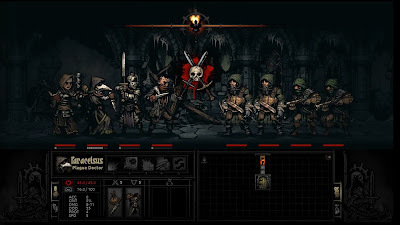 It's a dungeon crawler with turn based battles and positional combat. 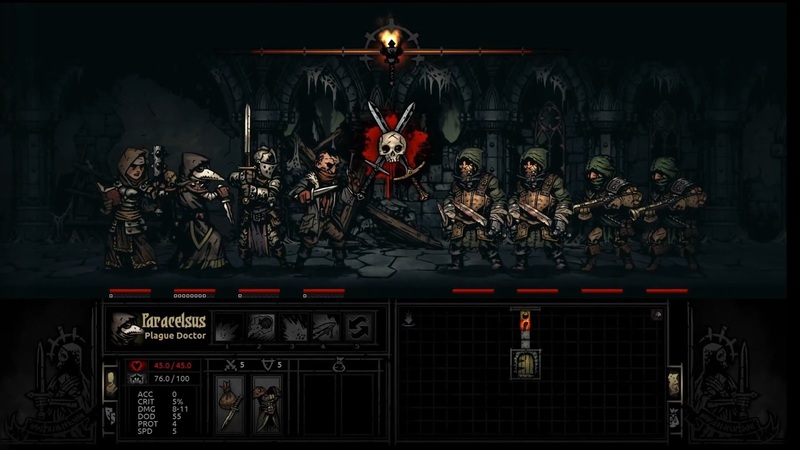 Your characters stand in a line and the enemy characters do too. All of your abilities are only able to reach certain places in your line or the enemy's line. It's interesting, but I didn't love it. I can see why other people like it, but it's one of those games that's just not for me. I think it's an interesting game, but I don't see myself playing it much. I think I'm going to get a Steam refund for it and use the money on another Steam game later. It's funny to think of being late to a party on a game which is still in early access. I've been waiting for it to officially release before giving it a shot. Lol, you're right. But it seems like all the hype and reviews of the game are done already. I don't see it ever having as much press coverage as it did when it first came out on early access. Once your game is available to the public for money it's basically released. That's what I did! It worked great!